We all know breakups hurt. 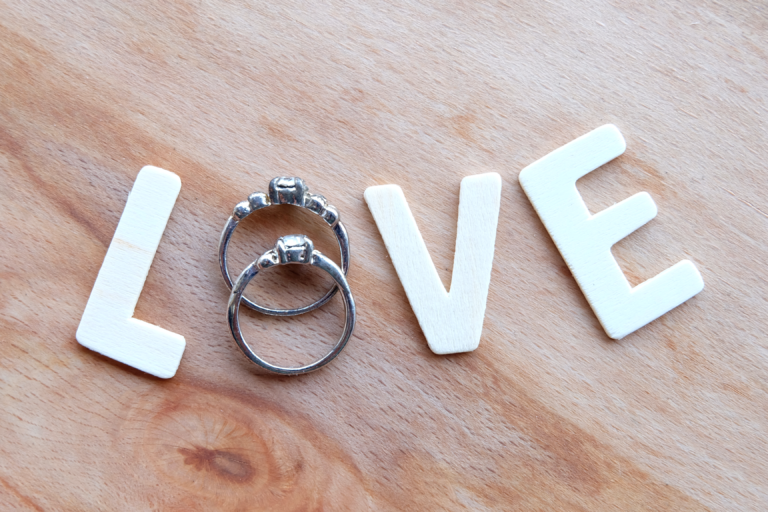 Eventually, the question arises: what could have been done to keep the relationship together? Marketers know this feeling well. Each year, brands lose an average of 25% of their email list, and between 25-50% of customers become inactive. Yes, to be a marketer is to know loss. The big challenge brands face is how to reactivate potential customers who have either (a) shown interest but never bought, or (b) made a prior purchase but then disengaged. Why lose the value of an acquired customer (or lead, for that matter) after investing resources to grab their attention? Marketing automation offers a variety of tools to help brands minimize customer churn and inactivity. The most common strategy for re-engaging customers is email, but social and paid/display media are also very effective mediums. This blog post will highlight the seven best re-engagement tactics for your marketing automation campaigns. We’ll also discuss how to create assets and orchestrate campaigns to help you reel those disengaged customers back in. According to Kissmetrics, on average 60% of an email list comprises customers who are unengaged. You can gain clarity into the health of your email list through subscriber segmentation. Segment them as “least engaged,” “somewhat engaged” and “most engaged.” Ranking customers as active or inactive further allows you to optimize sending frequency and anticipate which messaging will be most effective. Segmented email campaigns enjoy 14.32% higher open rates than non-segmented campaigns. Once you know which customers are inactive, conduct a highly targeted re-engagement campaign. Leverage customer data and engagement history to create personalized communications that will draw readers back in. 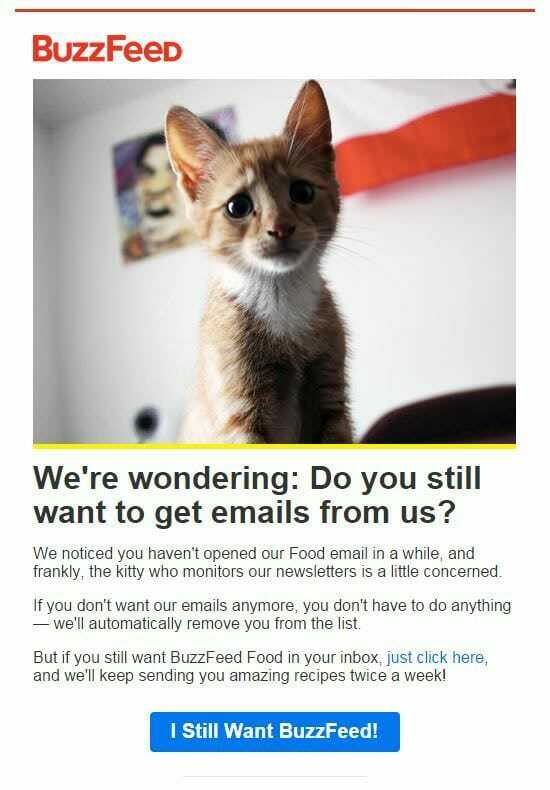 In the above example, Buzzfeed uses cuteness to reach its long-lapsed users. Keep in mind that while segmenting and trimming email lists will result in a smaller list of contacts, your open and click-through rates will improve since you’ll be sending your content only to people who want to receive it. 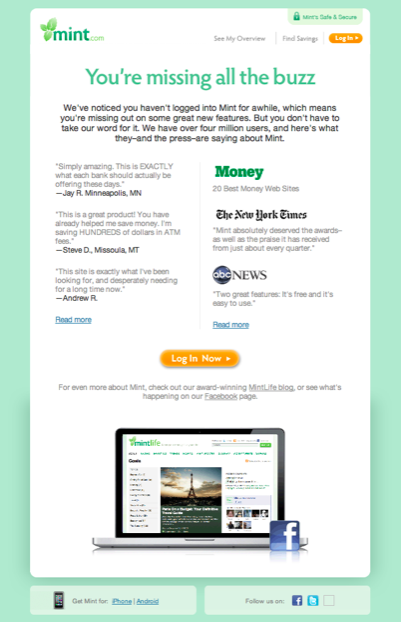 Maximize re-engagement by automating emails that trigger based on reader behaviors. For example, if a person re-engages when you send them a specific piece of targeted content, that click should trigger another relevant piece of material to send in the near future. Or, say a customer opens a cart-abandonment email but still doesn’t purchase. This is an opportunity to offer free shipping or a discount in the next email to give the user an incentive to buy. Simply put, reaching subscribers when they’re primed for action drives results. VentureBeat reports that behavioral-based emails drive 624% higher conversion responses that generic email. Automated triggers are a targeted and timely way to deliver messages that are sure to get people re-engaged. Imagine you received a message from a brand six months after initial contact. Would you feel important or forgotten? To achieve the best results, re-engage your audience sooner rather than later. Think 30, 60 or 90 days out – but don’t wait any longer. Look to customer history to understand who’s ready to be re-engaged. Check your click and open rates, and be sure to reference prior engagements, purchases and other data to help the customer remember the relationship with your company. Rekindling memories also shows customers you care. If a customer isn’t engaging with your content, slow down your email frequency but continue to send them content aligned with what they last opened. If they remain inactive, try sending the content type that initiated their engagement. Re-engaging customers early and consistently gives you time to test their responses so you can adapt your email frequency and content to best suit their needs and behaviors. Research by Experian shows that e-commerce customers who receive multiple cart abandonment emails are 2.4x more likely to complete a purchase than those who receive only one. What this means is that you should plan for a multi-touch re-engagement campaign at a frequency that suits your product and your customers’ behaviors. For retailers with abandoned carts, this window is even shorter because emotion drives sales. 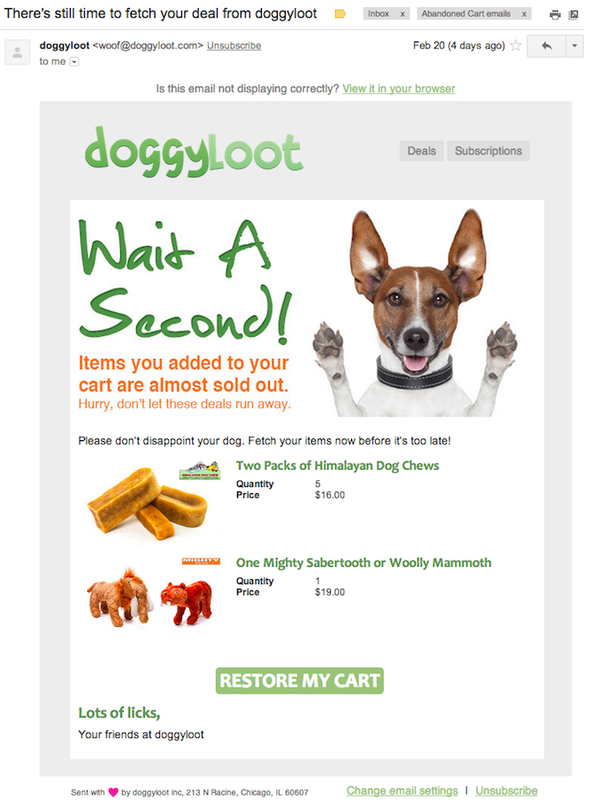 For example, pet supplier Doggyloot only waits one day before reminding shoppers that supplies are limited and that “now’s the time to buy.” The flash site knows scarcity tactics are great for prompting re-engagement, because they call upon the consumer’s desire for value and their fear of missing out. Instead of sending one email, send a series of emails that keep leads and customers engaged over time. Entice your customers back into activity with messaging that offers explicit value. 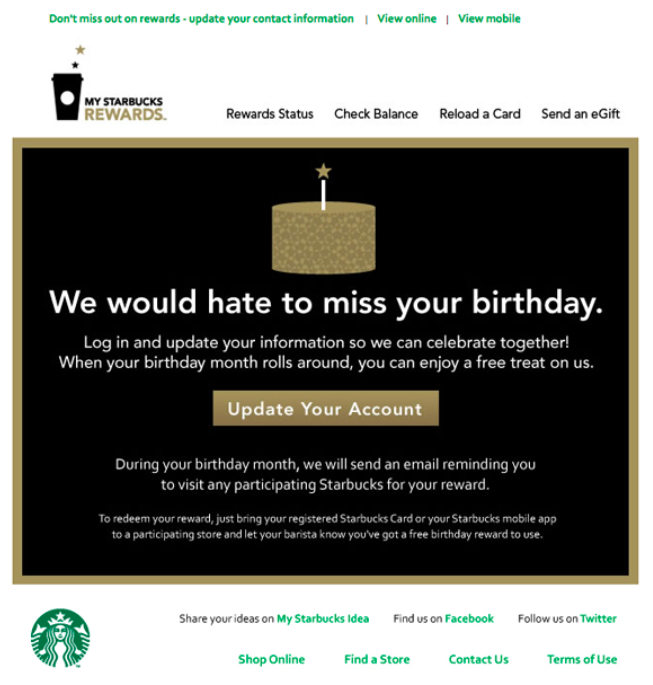 The above Starbucks promotion makes a birthday into an opportunity to generate goodwill. It also offers a free coffee for account reactivation. Authentic and specific messaging like this succeeds because customers know exactly what they’re getting and why. Brands that send automated emails are 133% more likely to send relevant messages aligned with the customer’s purchase cycle. Whether a promotion or a piece of content, create meaningful messages that bring real value to customers. Instead of offering a basic newsletter, try inviting inactive subscribers to an upcoming event or webinar. Or try sending a hyper-relevant piece of content that aligns with their engagement history and indicated interests. Jolt subscribers out of hibernation by promising them relevant materials that will immediately add value to their lives. Email subject lines are the handshake that welcomes your customers back. For best results, make sure yours are creative and offer clear value. A study by Return Path found subject lines that included the exact dollar amount of a discount were almost twice as successful as subject lines that included it in the form of a percentage. Driving re-engagement relies on specificity – customers want to know exactly what’s in it for them. 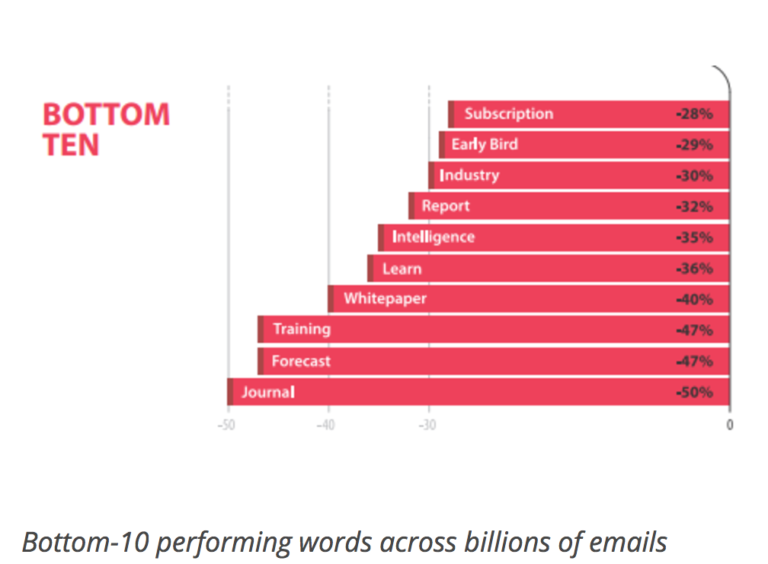 Using power words in your subject lines is guaranteed to increase open rates. For example, research by Sendgrid found the word “soon” received a 21.9% increase in engagement over the word “now.” Great subject lines can appeal to emotion, humor, guilt, nostalgia or mystery. No matter what, the subject line must hint at benefits. Appeal to emotion with power words to optimize your subject lines. Should you use phrases such as “we miss you” or “come back” in your emails? To determine which words and sayings are irresistible to your customers, continuously test subject lines. To cut through the noise, find insights in the analytics functions of marketing automation. 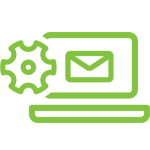 Go beyond automated email to vary your re-engagement campaign tactics. Email-display retargeting allows you to leverage display or paid media channels to reach lapsed customers, much like traditional website visitor retargeting. Once you’ve embedded the line of code in your email signature, anyone who completes the desired action will be served your ads around the web. Google Adwords Customer Match and Facebook Custom Audiences allow you to target your email subscribers across social, search and video platforms. Since only 45% of recipients who receive re-engagement emails actually read them, this is effective for reactivating customers who stray away from the inbox. Use marketing automation to coordinate, track, and integrate your media engagement, to ensure you’re gathering key data and motivating the desired action. When the customer relationship stutters or stops, leverage these re-engagement tactics to achieve higher revenues. Always approach with a tempting offer, whether that’s superb content or a promotional deal. Reaffirm your promise by reminding them why they signed up with you in the first place. To re-engage lapsed customers, being genuinely attentive and persistent is key. 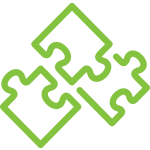 Marketing automation platforms are a cornerstone of re-engagement campaigns. They allow these interactions to occur seamlessly and in real time. By creating and storing content assets in a centralized database and collecting relevant insights on customer behavior, you can deliver messaging with crucial precision – right when customers are ready. Isabel Hasty writes and edits case studies to share client success stories and industry trends. She produces a variety of lead-generation content, including white papers, blogs, infographics, and thought leadership articles.